Spice up your life with a special Valentine’s Day dinner, Thursday, February 14. 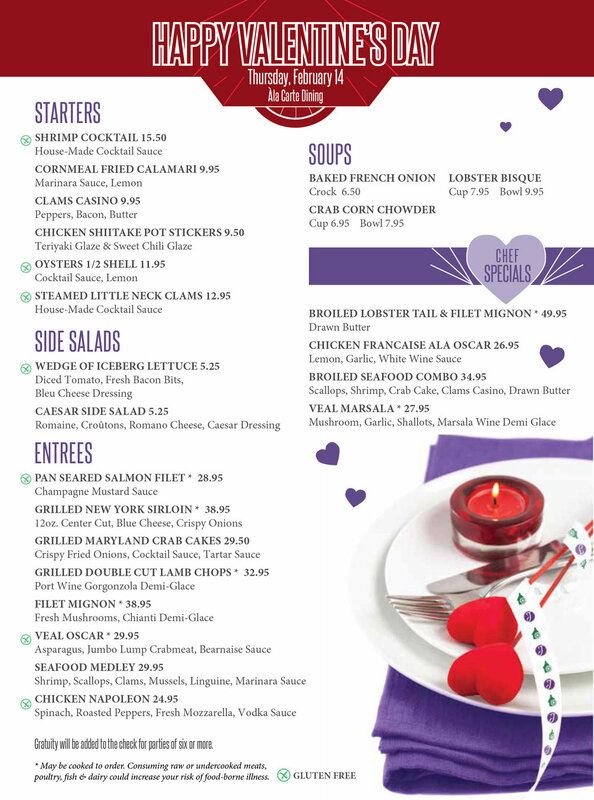 Celebrate with your sweetheart, and enjoy a la carte dining at Judd’s & Jackson’s. Singles and groups of friends are welcome to celebrate good company! Don’t miss an exceptional performance from talented harpist Joan Steinberg from 6-8PM! Our menu features lobster tail, broiled seafood combo with fresh scallops, shrimp, crispy crab cake, and clams casino, try the lamb chops with a decadent port wine gorgonzola demi-glace, and more! The gifted Joan Steinberg has been playing the harp for over 25 years for all occasions. Joan studied with harpist Marilyn Costello at Temple U. College of Music, where she earned a Bachelor's degree in performance. A gifted musician, she not only sounds terrific but can also play practically anything you can hum by ear. An enchanting evening awaits! 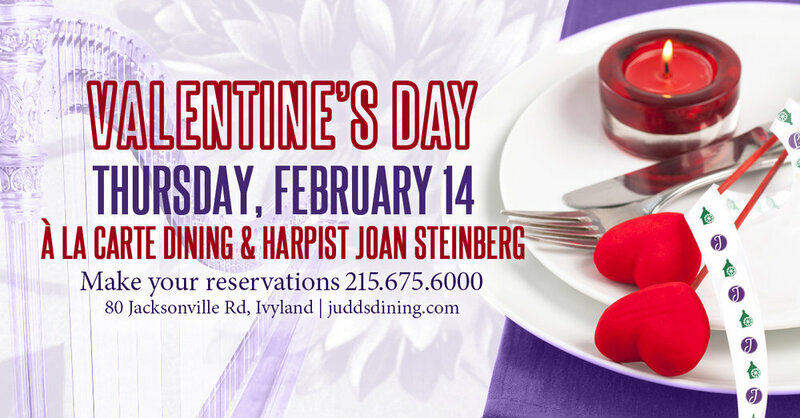 Make your reservations today by calling Judd’s & Jackson's at Spring Mill 215-675-6000.